Touch screens have successfully been used for many years in the industrial sector. The use of touch screens in the consumer industry, such as with the iPhone, has revolutionized our interaction with technical equipment. The basis of this revolution is the multi-touch screen, which is operated by various, simultaneous touches and gestures. While touch screens with electronic equipment such as Smartphones should primarily make operation easier, additional demands in terms of reliability and security are imposed in the industrial sector. Touch panels are often used in the automobile industry for process-oriented operation. They have proven themselves here because of their minimal vulnerability. They aren’t prone to soiling in the same way that keyboards and mouse devices are. A considerable benefit when comparing their use to that of classical control keys is flexibility. Process changes do not have to lead to the complex rewiring of control panels - but can be supported quickly and easily with software adaptations. The groundbreaking success of Multi-Touch in consumer electronics has inspired industrial users to make use of this technology in HMI/ SCADA applications. 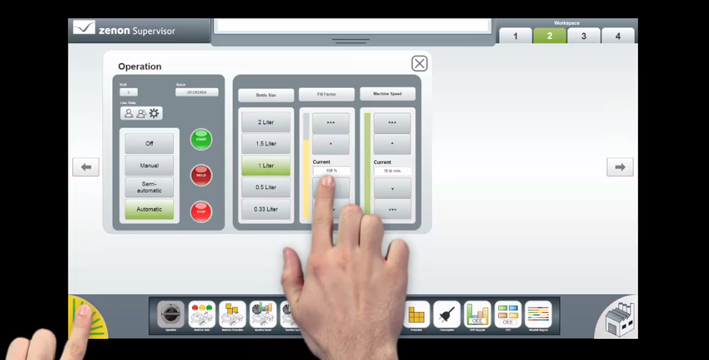 zenon is the worldwide first HMI/ SCADA system with Multi-Touch support. reduced training time due to more intuitive handling… and much more!